Welcome to the Freedom Hill Library! Join us in the library for Freedom Hill’s annual Scholastic Spring Book Fair. 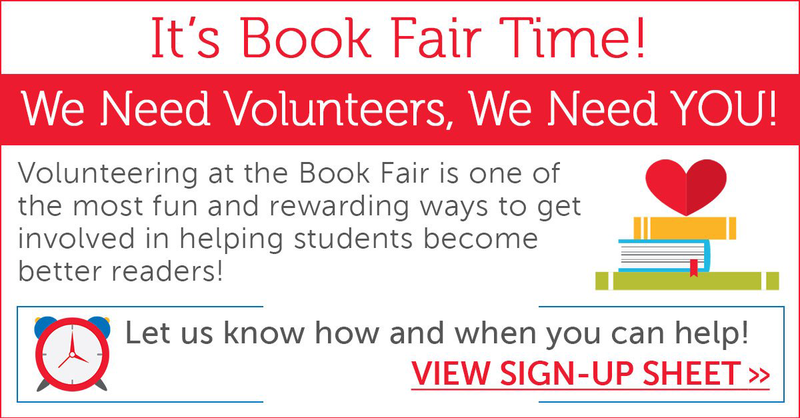 This is a wonderful opportunity to support your school and to find great titles to feed your voracious reading appetite! Friday, Monday & Tuesday, March 29th, April 1-2nd. Students will come with their classes during the day to fill out wish lists. Please look for these in your child’s backpack. You are under no obligation to buy anything on the list. Tuesday, April 2nd Students can make purchases from 9:05-9:30, during recess, and between 3:30-4:15. Tuesday Evening, April 2nd5:30-8:00 pm is Family Night. Everyone is welcome to browse and purchase books. Wednesday, April 3rd Students and families may make purchases between 9:05 am and 4:15 pm. Thursday, April 4th Students and families may make purchases between 7:45 am and 4:15 pm. We accept cash, checks, VISA, and MasterCard. Checks should be made out to Freedom Hill ES. All sales are final. We do not charge taxes. There are over 15,000 books just waiting to be discovered, covering a wide variety of popular fiction and nonfiction authors and age ranges. The library is open from 9:05 a.m. to 4:15 p.m. for readers to check out and return books, as well as to work on class projects. Students in preschool, Head Start, ID/IDS, and K-2 visit the library weekly to connect with great books, learn library and research skills, and check out fiction and nonfiction titles related to their interests. Students in grades 3-6 come as a class every other week to develop research skills, nurture an excitement for literature, and check out titles of their choice. Kindergarten and first-grade students may check out two books. Third-sixth graders may check out four books. Students can get on a waiting list for books that are currently checked out to someone else using a paper form at the circulation desk or electronically using the link below. Teachers let their students know when the book they are waiting for is ready for pick up. Parent volunteers are always welcome in the library! We circulate thousands of books each month, so help with shelving is especially appreciated. For more information contact librarian Katherine Trott at 703-506-7855, or at sktrott@fcps.edu. We'll see if it's a good fit for the library!